Native Ken Allman shares why his hometown of Hinton is the heart of almost heaven. We invited Ken Allman to write about life in his hometown of Hinton. Allman grew up in Hinton and chose to headquarter his businesses there: PracticeLink.com, the nation’s most widely used physician recruitment resource, and MountainPlex Properties, LLC, a company dedicated to the preservation and revitalization of the Hinton Historic District. Allman was named to Who’s Who in Business in 2009 by The State Journal and recognized by the Small Business Administration as West Virginia Small Business Person of the Year in 2014. You can reach Allman at ken.allman@practicelink.com. Even though it’s slightly off the beaten track, my hometown of Hinton is at the heart of many things. On your way in from Interstate 64, take the Sandstone exit 139. Start at the National Park Service’s Sandstone Visitor Center to learn more about the area’s ecology and history. From there, you’ll cling to the eastern rim of the New River Gorge for 10 miles as you travel south on West Virginia Route 20, perhaps one of the state’s best-kept secrets. Route 20 is the unofficial highway of the New River Gorge, and it offers a little bit of everything: twists and turns for motorcyclists, scenic views for Sunday drivers, and parks and bald eagles for nature lovers. As the two-lane highway passes the Sandstone Falls Overlook and drops several hundred feet into the New River Gorge below, you’ll pass the community of Brooks, scenic Brooks Falls, and the recently restored Camp Brookside, which will offer outdoor and cultural activities this summer. Past the high school, Route 20 splits in two. No, you didn’t miss a turn. Instead, you’re about to enter Hinton’s residential West End, where Route 20 turns into Summers Street. The West End is the neighborhood of my youth. It’s where my sister, Sheila, and I grew up. It’s where my friends and I staged weekend acorn battles and played football games on sharply sloped hillsides of glory. It’s where railroad workers, teachers, nurses, and other good folks have raised their families for generations. This is where modest cottages, nestled between road and river bluff, are blessed with priceless views. Go a mile deeper into town, and this is where history lives: The Hinton Historic District. 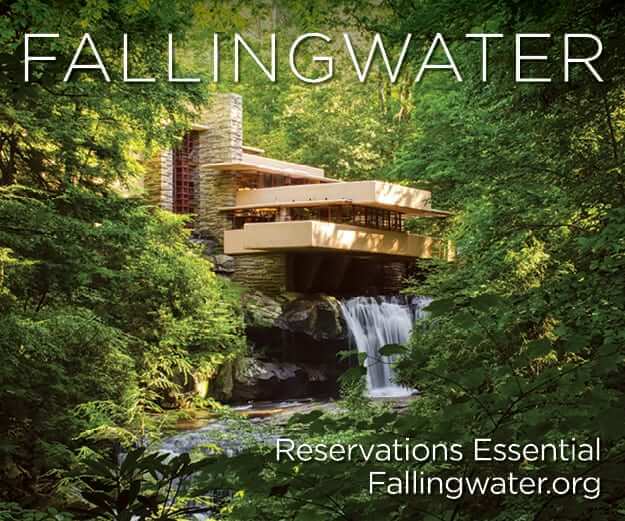 Though beautifully nestled in the foothills of the Alleghenies at the confluence of three majestic rivers—the Bluestone, Greenbrier, and New—Hinton would not exist if not for the westward expansion of what became the Chesapeake and Ohio Railway. The town, which bears the name of its founding family, was established in 1872 to serve the needs of railroaders and the mighty steam engines that traveled east through the Big Bend Tunnel and west through the New River Gorge. The town came to life quickly, and a building boom lasted through the 1920s. Hinton and the railroad are two American histories forever linked. Even today, you can get to Hinton by rail. The historic C&O railway depot, built around 1905, is undergoing extensive restoration by the city and is the third-busiest Amtrak stop in the state. Each year, the Hinton station serves more than 8,000 passengers on their way to and from New York, Philadelphia, D.C., Cincinnati, Indianapolis, and Chicago via the Amtrak Cardinal. For rail aficionados, the Hinton Railroad Museum, located near the intersection of Second Avenue and Temple Street, is a must-see for its priceless collection of railroad history and artifacts. For history buffs of all kinds, The Summers County Veterans Museum, housed in Hinton’s very own Carnegie building, preserves stories and artifacts from World War I to the Persian Gulf. Though the role of railroad has diminished over the years, much of the turn-of-the-century architecture remains. Residents are preserving and restoring that historic architecture as part of the Hinton Historic District, more than 16 square blocks of commercial, residential, and church buildings that comprise one of the country’s largest national historic districts. Built in 1907, the five-story Hotel McCreery is a centerpiece of the district. The McCreery served guests through the 1960s. In 2009, it was placed on the Preservation Alliance of West Virginia’s list of the 10 most endangered properties. Soon after, a massive restoration project was initiated to save, preserve, and repurpose the impressive structure. The roof structure has been repaired, the parapet wall has been rebuilt, more than 200 windows have been restored, and almost 10,000 square feet of pressed-tin ceilings and mosaic tile floors have been cleaned and refinished. The McCreery’s first floor is now a conference and banquet facility, and upper floors are kept ready for future work. The brick-lined streets and friendly faces of the Hinton Historic District will leave you longing for a simpler time, when the West Virginia Music Hall of Fame folk song writer Blind Alfred Reed played his fiddle and sang on Hinton street corners. Throughout the district, you’ll find plenty of places to eat, sleep, and play. Chestnut Revival is a coffee and teahouse with tasty lunch and dinner options in a very cool Victorian-era home. Chris, the husband of the husband-and-wife team, is a New Orleans-trained chef who prepares world-class dinners each Friday evening. Dress is casual, reservations are limited, and you can bring your own bottle. Saturday nights at Chestnut Revival there’s an open mic, featuring local talented musicians. Kirk’s Market on Temple Street offers fresh produce as well as the classic breakfasts, lunches you might find in any small-town diner, prepared by Mrs. Kirk herself. Led by the talented culinary team of Kevin Hall and Samantha Grizzel Hall (no relation), The Market on Courthouse Square has established itself as one of “West Virginia’s 101 Most Unique Places to Dine,” according to the state’s Division of Tourism. The Market offers its famous flame-grilled burgers, hand-tossed brick-oven pizzas, signature sandwiches, and craveable entrees seven days a week. Collections from famous folk artist S.L. Jones line the walls (and that of the Smithsonian). Soon, the Market will be joined by a new sister option, Chessie’s on the Square, which will feature local microbrews and an outstanding menu of Appalachian cuisine in an atmosphere that blends a touch of Hinton’s history with a modern twist. After dinner, it’s a short walk to the Ritz Theatre, a 300-seat theater built in 1929 for film and vaudeville that has been beautifully restored with state-of-the-art digital sound and picture. The Ritz features the newest films every weekend as well as live performances. The Ritz was recently named a featured stop on the West Virginia Historic Theatre Trail. Another favorite activity is Hinton’s City Sidetrack Park & Pool, with a steam engine-shaped swimming pool and waterslide made possible by the Bill & Melinda Gates Foundation. The recently restored Hinton Freight Depot hosts community activities, including the annual Ladies Christmas Bazaar and Hinton’s Festival of the Rivers concerts. Stop by the Summers County Visitors Center at the corner of Second and Temple to make sure you don’t miss a thing. While you’re there, check out the adjacent Otter & Oak and Rivertown Gallery. Otter & Oak is unique shop that provides everything you need to paddle or float the river, along with a seasonal collection of men’s and women’s apparel from leading outdoor brands. Rivertown Gallery features local artists, photographers, and potters. Other local shops you won’t want to miss include Vickie’s Boutique, Grandma’s House Antiques, Big Four Drug, and more. Once you’ve finished exploring the Hinton Historic District, we invite you to spend the night. The Guest House Inn on Courthouse Square is a five-star non-hosted bed and breakfast perfect for a weekend getaway. The Magnolia Room Conference Center and Guest House veranda serve as indoor/outdoor venues for receptions and business events. There’s plenty to do outside the Hinton Historic District, too. In Hinton, even our Pizza Hut has a waterfront view. With more than 5,000 Facebook fans, the Hinton Dairy Queen may be the most popular DQ on the planet. It’s the original home of the Hinton Hot Dog (a split bun toasted on both sides with creamy coleslaw, diced onions, a dab of mustard, and secret hot dog chili sauce) and has a climate-controlled dining area overlooking the New River. Kirk’s Restaurant, the Home of the Hungry Smile, offers spectacular views from its open-air covered patio and you may spot a bald eagle while you are enjoying breakfast, lunch or dinner. Pop’s Sports Pub has a pool table and video gambling parlor. Its hot dog chili and Sandstone Potatoes—crinkle cut fries smothered in cheddar cheese, bacon, and sour cream—are hard to beat. But Hinton is not just about food. At Jarrell’s Exxon, you can get your car serviced and your tank filled with personal service just like in the old days. PC Outdoors stocks visitors and residents with fishing gear, and Wilderness Adventures is ready for firearms enthusiasts, too. Summers County has more than its fair share of shoreline. If you can paddle or pedal it, hook or hike it, this may be the perfect place for you. The county is home to two of West Virginia’s 36 state parks: Bluestone State Park and Pipestem Resort State Park. Pipestem Resort State Park is one of the crown jewels of the state’s park system, with amenities that include both par 3 and championship 18-hole courses, tennis, fly-fishing, horseback riding, indoor and outdoor swimming pools, and casual and fine dining. The fine dining at Mountain Creek Lodge is well worth the tram ride required to get there. You read that correctly: The way to the lodge is on a four-person aerial tram that’s 800 feet above the Bluestone River Gorge. Just 10 miles from the Hinton Historic District and close to Pipestem’s entrance, you’ll find two other great dining options: The Oak Supper Club, named for the majestic oak tree on the property, and Brandon’s BBQ, which offers hearty steak and seafood in a woodsy setting. Also nearby is The Pipestem Spa, which has been recognized as one of the best spa experiences in the two Virginias. The mighty Bluestone Dam at Hinton serves to protect Charleston and communities downstream from seasonal flooding. When Bluestone Lake is not holding back floodwaters, it provides a beautiful playground for water and nature lovers. Bluestone State Park is famous for its rustic cabins, mountain biking trails and the boating, fishing, and paddling available on Bluestone Lake. The Bluestone Wildlife Management Area offers visitors a variety of outdoor recreational opportunities on 17,632 acres: camping, hunting, boating, canoeing, and fishing. Avid fishermen enjoy float fishing and stocked-trout fishing in Indian Creek and the Bluestone River. The Bluestone Lake Marina provides boat rentals and essentials. Summers County is also where the Greenbrier River Valley meets the New River Gorge. The Greenbrier flows into Summers County near the picturesque village of Alderson, which is home to West Virginia’s most popular 4th of July celebrations and Federal Prison Camp Alderson (whose residents have included the infamous Tokyo Rose, and more recently, Martha Stewart). Continue down Route 12 and the Greenbrier, and you will come to the former Pence Springs Resort, which is now the Greenbrier Academy for Girls. The original spring house on the neighboring property was built in 1872 and serves as home to the popular Pence Springs Flea Market every Sunday April through October. After all that, you’ll be hungry again. Stop by Lowell Market, part country grocery store and part country diner, for its famous fried chicken. Across the two-lane highway from the Lowell Market is the Graham House, a log cabin built in 1770 and now serves as a venue for a traditional community holiday dinner. It’s also available for social gatherings throughout the year. Coming into Summers County and the great Hinton area from the south on Route 12 will bring you through rolling hills of farm country and the community of Forest Hill. Enjoy a visit the Wake Robbin Gallery, whose owner is renowned potter Marcia Springston, Thursdays through Saturdays from 10 a.m. to 4 p.m.
One of my favorite activities is biking the New River Road between the Hinton Historic District and the easily-accessible catwalks that let you explore Sandstone Falls up close. This ride takes you down a beautiful stretch of the New River, nine miles each way. You’ll also see Berry’s Campground and maybe a kayak or raft navigating the Class III Brooks Falls while bald eagles and blue herons fly by. If golf is your thing, the Resort at Glade Springs is a short 30-minute drive from the Hinton Historic District. The world-famous Greenbrier Resort isn’t much farther—but the courses at Pipestem State Park and Willow Wood Country Club on the Greenbrier River offer excellent experiences and are both just 15 minutes away. If fishing or paddling are more your speed, consider New River Trophy Outfitters for professional fishing guides or Richmond’s Meadow Creek Hideaway riverside cabins—or call on Cantrell Ultimate Rafting to navigate the rivers. Bird enthusiasts will cherish a visit to Three Rivers Avian Center. WinterPlace Ski Resort is close by, and so is Practical Firearms Training, which offers marksmanship and tactical training. In addition to being named one of the 10 best fishing spots for smallmouth bass and muskie in the country, Hinton is perhaps best known for Hinton Railroad Days, when the Hinton Historic District plays host to thousands of visitors who arrive by car, bus, and the New River Gorge Excursion train on the third and fourth weekends of October. 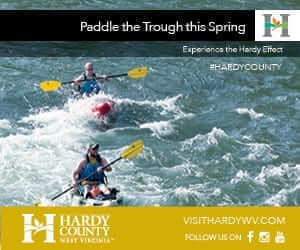 Hinton is also known for the West Virginia State Water Festival and Festival of the Rivers. John Henry Days draws more than 1,000 to the nearby village of Talcott and the mouth of the Big Bend Tunnel, where John Henry raced the steam drill. For a small town, Hinton (and Summers County) has had its share of giants. From “Steel Driving Man” John Henry in Talcott to U.S. Secretary of Health & Human Services Sylvia Mathews Burwell, the people of Summers County have made their mark. At Summers County High School, the next generation leaders proudly learn, play, cheer, and compete as Bobcats—the Lady Bobcats basketball team has won five state AA championships in the past 10 years! Summers County Middle School and three elementary schools serve our younger students. The Greenbrier Academy for Girls and the Pipestem Christian Academy are also mainstays. Colleges are close, too: Within a short drive, students can commute to Concord University, West Virginia School of Osteopathic Medicine, or the new campus of WVU Tech. The health care needs of the area are anchored by Hinton’s Summers County ARH Hospital, which has been recently recognized as a Level IV Trauma Center. Hinton is also home to one of the top-rated places to work in health care, as recognized by Modern Healthcare and Becker’s Hospital Review. PracticeLink.com, the nation’s most widely used physician-recruitment resource, is headquartered in the Hinton Historic District. And the Summers County Public Library is a priceless resource for young and old alike. Hinton has an active senior and retired community as well as youth sports and cultural programs. There are also many clubs and organizations focused on civic pride, community development, the arts, and education. Come stay, play, and enjoy! 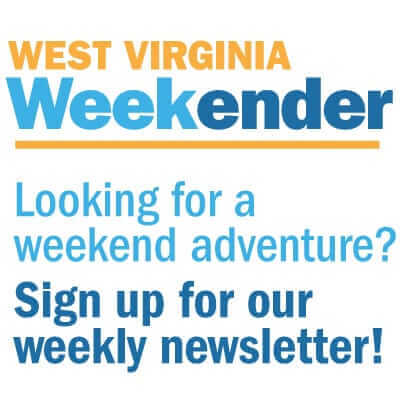 Whether you’re in the mood for a culinary tour or an outdoor adventure, a place to spend the weekend or the rest of your life, I’d like to invite you to Hinton and Summers County. It’s where my heart is, the place I think of when I think of “home.” We may not be easily accessible—you have to want to go. But once you’re our guest here, if you’re anything like me, you won’t want to leave.